Congratulations to "That Crazy Mom," the winner of our On-Task On-Time for Kids giveaway! Didn't win, but still want one? 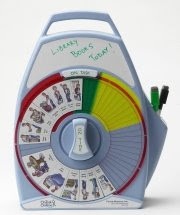 Still NEED one to teach your kids some time management? Mommy's Idea readers will receive a 15% discount by using the code "ellie" at http://www.timelymatters.com/, now through Sunday, September 21st.